Olivia was on stage twice in an amazing dress to help presenters with the awards. 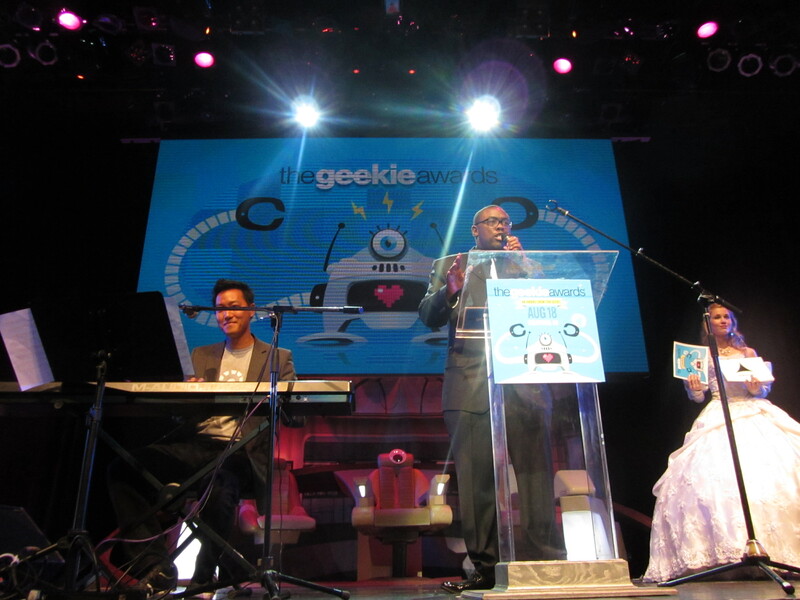 Olivia is on the far right with the cards identifying the sponsors during the musical number at The Geekie Awards. Olivia is a scientist, cancer researcher, chef, cosplayer, actress, geek and a fellow UC Davis alumni. We met to record three video podcasts. She actually baked me a torte, as we discussed torts. That was her wickedly creative idea. I was in awe of her attention to detail, whether it was in recording a video on how to bake a torte, discussing Star Trek or describing what exactly are genetically modified foods. I hope you enjoy our video podcasts. We discussed comic books, science fiction and torts vs tortes. Olivia’s blog is Rollings Reliable. 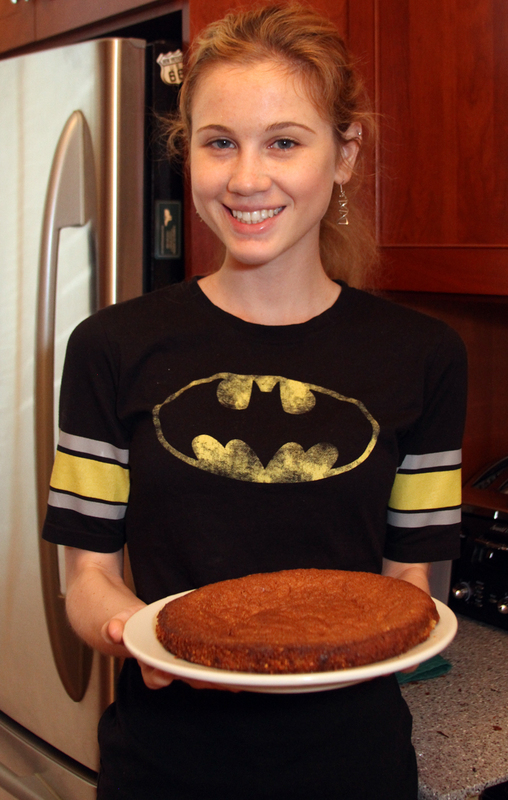 Be sure to check out her musings on cooking, geeks and science. And yes, the torte was very good. Next articleSay Anything…and the Arizona Cardinals?